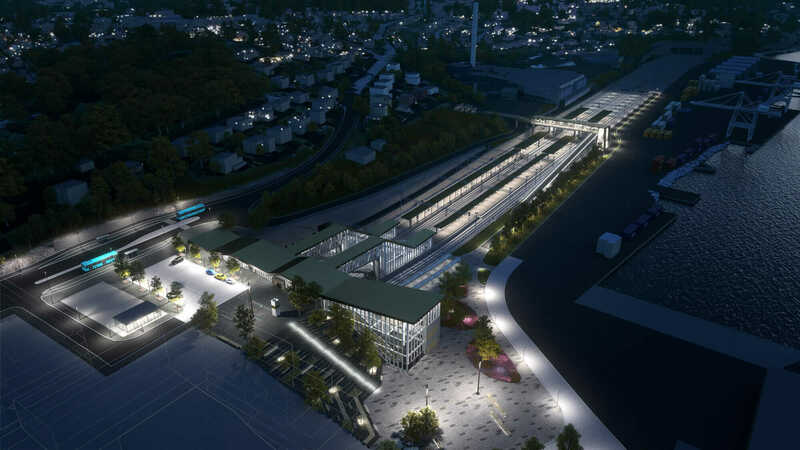 For a disruptive, 10-km-long rail project that won’t even break ground until 2019, public officials and local residents of Moss, just south of Oslo, Norway, have been given an unusually vivid preview that, in the past, only the designers would have seen at this stage. 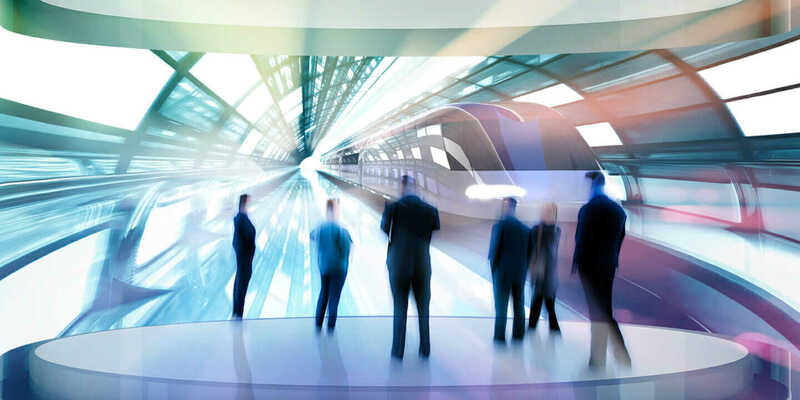 Unlike the single viewer wearing a headset, the 180-degree, virtual reality (VR) theater used by the project takes multiple viewers on a simulated ride into an immersive design world, navigating with Navisworks Simulate. An accompanying Building Information Modeling program (BIM Track) allows users to make comments in real time, creating a dialogue between Bane NOR and the Rambøll/Sweco design team. The VR showroom lets the public visualize what the new station will look like. Courtesy Bane NOR. An alternate view of the new rail station. Courtesy Bane NOR. The VR program was created by a joint venture of Scandinavian engineering giants Sweco and Rambøll Group, based in Stockholm and Copenhagen, respectively. Already in planning for more than a year, the complex project will involve building 10 km of new track, two tunnels, and one new transit station. 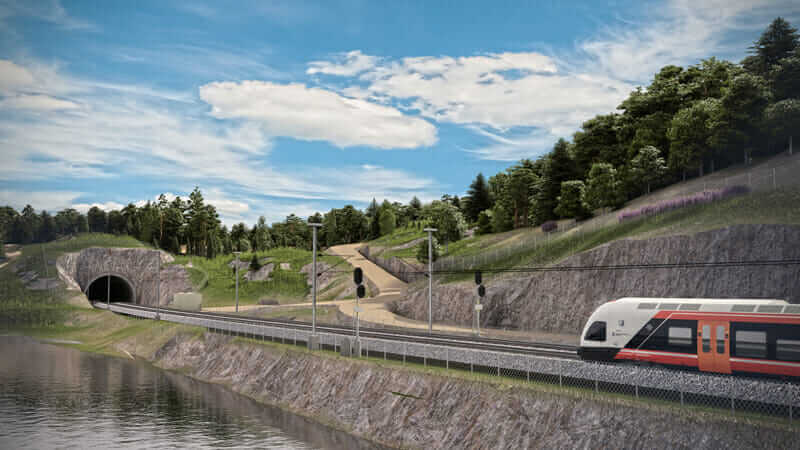 The project reunites the successful team that’s currently engaged building a 75-km double-track InterCity Line between Sørli and Lillehammer, north of Oslo. 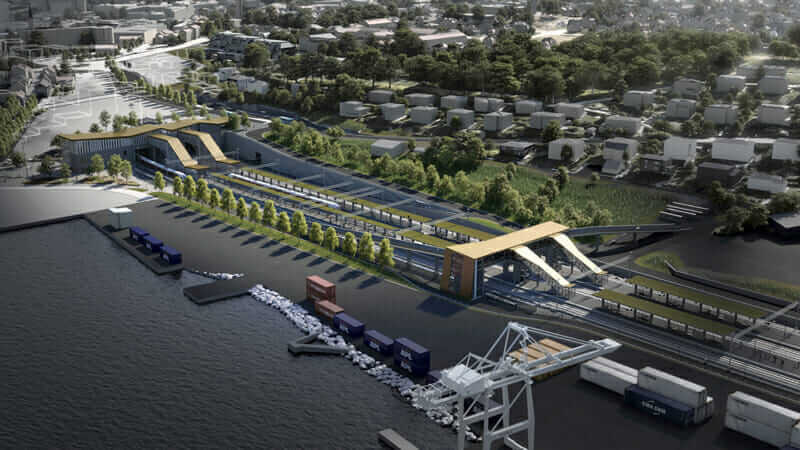 Last fall, that project’s innovative use of BIM and 3D simulations earned the Rambøll-Sweco ANS team first place in the Infrastructure category at the 2016 AEC Excellence Awards. The complex rail project will involve building 10 km of new track, two tunnels, and one new transit station. Courtesy Bane NOR. For the newer, 10-km project south of Oslo, the team has again used all of those features. And since January 2017, the immersive VR program has employed Autodesk InfraWorks to make the collaboration even more visceral for both the team and the public. Karlsson adds that Bane NOR has instituted requirements on the project to ensure the signaling system along the rail track is up to code for the train driver and for the rail. The VR lab, which the building team calls its “B Lab,” has improved the group’s ability to meet those requirements, he says. “When we realized that we could also use it to help us locate things better, we used it for locating all the signaling along the route,” Sjøen says. The VR project takes viewers on a simulated ride through an immersive design world. Courtesy Bane NOR. 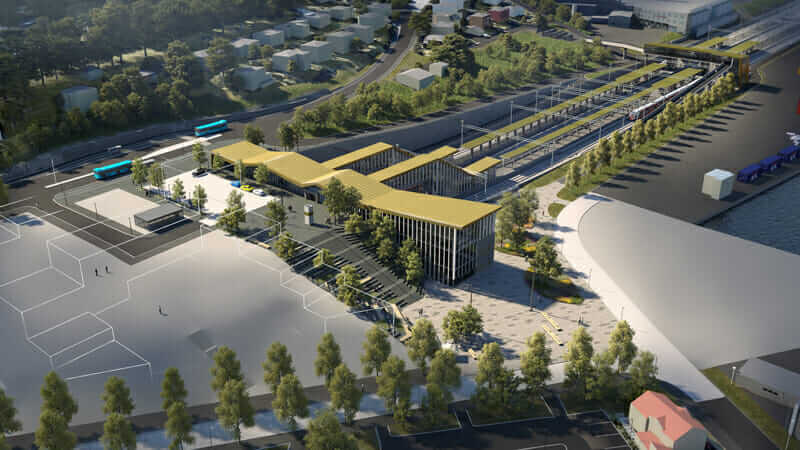 Hegge says the team is now engaged in technical detail planning, creating tender documents for turnkey construction of both preparatory works and actual rail engineering works. Preliminary site work is just getting underway. So far, only the building team, the owner, and other stakeholders have used the university’s big-screen experience to enhance their collaboration. The public, for its part, has been encouraged to use the showroom in Moss for walk-in tours with the VR headsets. Feedback from both groups has been encouraging. Bane NOR has instituted project requirements to ensure the signaling system along the rail track is up to code. Courtesy Bane NOR.